The AAO has been notified that at least one pirate website for hotel reservations has been set up that mimics the 2019 AAO Annual Session site of housing partner OnPeak. The AAO’s ONLY contracted and approved housing company for the 2019 Annual Session is onPeak. As the AAO becomes aware of any pirate sites set up by other organizations, the AAO Legal Department sends cease and desist messages to the sponsoring organizations. To visit the onPeak website safely and book your hotel accommodations at Annual Session, always access housing reservations via the link included in your Annual Session registration confirmation. Do not search for the reservations site online. You may also reach OnPeak by phone at phone number 866-575-4133 or 312-527-7300. ● View the hotels included in the AAO room block by price. 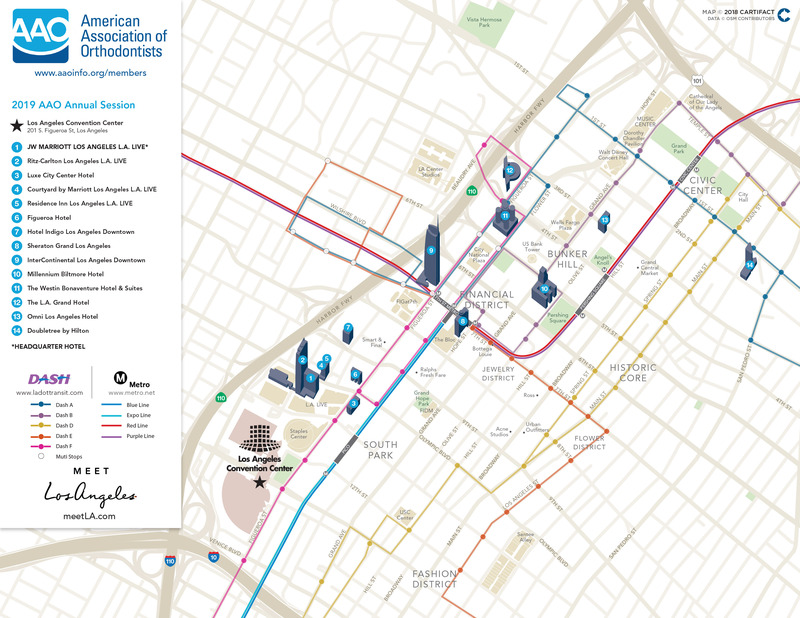 ● View the Annual Session hotels map. ● Learn more about Annual Session and register. In addition, please be aware that registrants of past AAO constituent meetings received calls from individuals claiming to be from the meetings’ housing partners. The callers stated that the doctors were registered for the meeting, but that their credit card information, arrival and departure dates were never furnished and must be provided immediately in order to secure housing. The AAO recommends that you advise your receptionist to hang up immediately if such calls come into your office and report the calls to you. If you feel that onPeak may be in need of any of your information, you can check by emailing or calling aaohotelservices@onpeak.co (not .com) or 866-575-4133 or 312-527-7300. When you book your hotel reservation within the official AAO housing block you contribute to the success of future Annual Sessions because participant loyalty data drive future negotiations for room rates, extras and special discounts.